Are you considering your next tour in the state of Florida? Here’s our travel guide to assist you to make an extraordinary holiday vacation in Orlando without any travel stress. Take these tips into your plan and use them on your next tour to the marvelous city of Orlando. Do you want to hit the most interesting, fun-filled place on the earth for the vacations? If you are going to plan vacations in Orlando on this season, you are in for a surprise. With the beautiful designs, nice weather and mouthwatering food recipes, this city will surely make you fall in love with it. However, no matter whenever you’ll go for a vacation, you’ll have to deal with lots of travel stress. Most of us know that moving to another place is assumed to be fun, but sometimes it appears stressful. In addition, the fear of getting to the destination can enhance the anxiety level of your travel practice. Luckily, there are several ways to get relieved of travel stress through proper preparation and planning. Consideration of every detail is important, or something can be missed out, particularly when packing all things for your tour. Make a packing list for yourself ahead of your tour. As time passes on, you will see that you continue adding several items to your list, so you will ultimately have everything you require for your tour. There’s no need to wait for the last minute to schedule your flight for a tour. Check out the flight schedules and different days to take the best deal on your flight route. After all, you don’t want to get yourself without transportation to your desired destination, adding more travel-related stress to your holiday. With the Orlando shuttle transportation service, you can make the reservation in advance and get confirmation of your ride. Hence, it’s extremely suggested to acquire your ride ahead of time. To assure a safe ride from your favorite destination Orlando, go with the most secure, reliable shuttle service to and from Orlando. On a shared transportation service, you’ll be able to reach other enthused tourists and save incredible money. 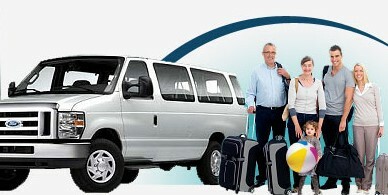 If you want to have more privacy, private shuttle transportation services are also available. Make sure to reserve your shuttle ahead of time and concentrate on the important aspect of your tour. Remember one extraordinary thing that, sharing the ride implies a lower tour cost. If you can figure it out, each person can save many dollars. Looking to get a quote for your next tour? Go Florida Shuttle gives reasonable deals on shuttle transportation to and from Orlando Florida. Hence, it’s recommended to reserve your shuttle before and get relieved from last minute chaos. Click here to get an online quote now. Did we drop some shuttle decorums? Share it here, and we will cover it in our updated version!